An inspiring leader in the fitness space, Reebok's #BeMoreHuman focus underscores the passion of athletes across the globe who seek improvement and connection through fitness. Garneau's expertise in cycling apparel and dedication to helping each cyclist #LiveYourDream results in a singular vision to enhance the experience of dedicated fitness and indoor cycling enthusiasts. The visionary result is the latest in indoor cycling shoe technology, the Actifly indoor cycling shoe, the ultimate tool for the fitness consumer. Don’t find excuses NOT to do it. Whether you are integrating indoor cycling into your CrossFit routine or focused on it as your principle sport, the Actifly is your key piece of indoor cycling equipment. One obvious difference between outdoor and indoor cycling is just how much more an athlete sweats while training inside as opposed to being out on the open road. To address this, the main focus of the Actifly is breathability and moisture wicking. At the base of the Actifly shoe is our ultra-efficient composite sole. Unlike a soft, looser-fit running or workout shoe designed for flex and cushioning, this cycling-specific sole provides a stable pedaling platform. And, it's also designed with the patented Ergo-Air® air-channeling technology. By using multiple air channels inside the sole, riders benefit from constant airflow through the underside of the shoe, where their feet are, to mitigate moisture build-up and keep the feet cooler. Moisture is also evacuated on the top of the shoe with various mesh zones, the same technology on Garneau’s world-class triathlon shoes. The goal is to keep the shoes dryer during use and to also speed up drying between classes. 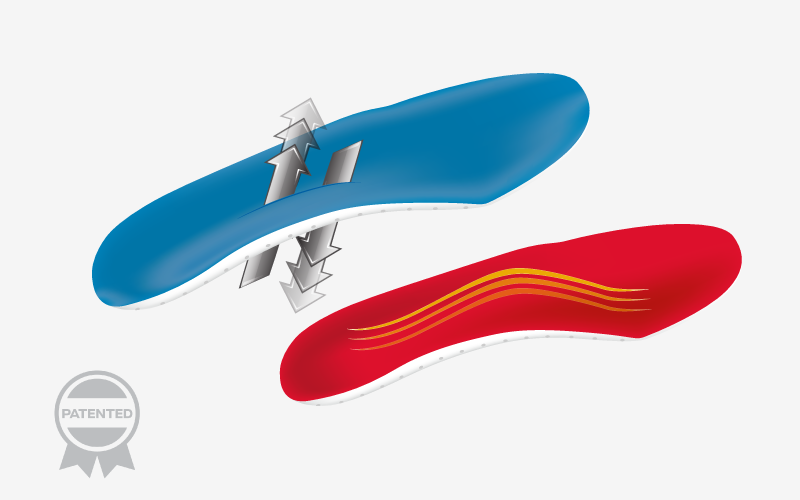 We’ve also used our most breathable insole to maximize the Actifly’s airflow. The inner lining and ventilated insoles are antibacterial to prevent smelly feet after workouts and keep moisture away. Finally, the Actifly is reinforced at strategic places to enable fluid, powerful strokes, and offers a hook and loop fastener system for easy adjustments. And, if you want to ride outside, the Actifly is fully compatible. with all 3-bolt cleat patterns and SPD cleats (the standards the cover just about every pedal system in the market). 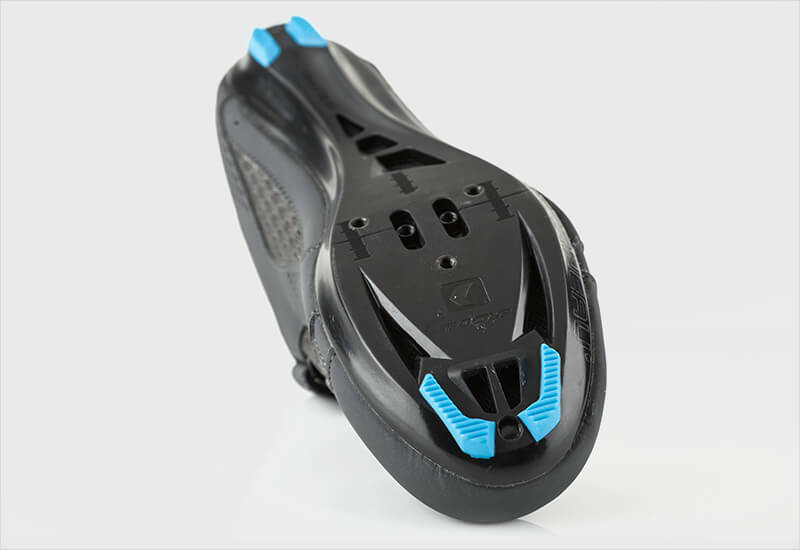 The Actifly Shoe is a purpose-built indoor cycling shoe. 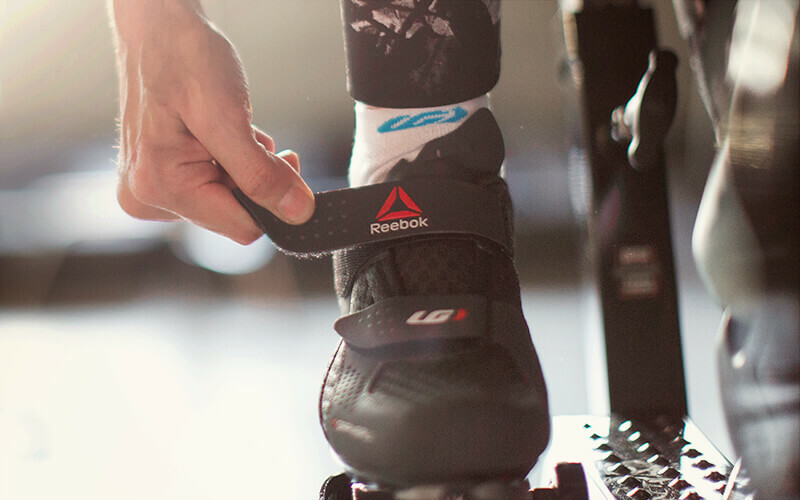 Combining Reebok's knowledge of just what fitness athletes need to keep gym efforts progressing and Garneau's development of the latest shoe design and technology gives the optimal platform for comfort, breathability, and performance in all indoor cycling. Featuring a moisture-wicking, perforated microfiber upper, the shoe prevents moisture build-up and maximizes heat dissipation for both individual comfort and fleet use at fitness and cycling studios. Actifly shoes come with the Cool Stuff insole built around our Ergo Air® system that provides through-and-through ventilation. The shoe's composite cycling sole transfers the power from your legs straight to the bike, rather than getting absorbed in the cushion of your sneaker where you lose efficiency and stability, risking damage to your knees and a decline in performance. The Actifly's upper uses synthetic leather and mesh for optimal airflow and comfort. The open structure of the mesh keeps heat build-up in check and also dries faster in between classes. Anti-bacterial and anti-odor treatments keep gym bag odors in check. 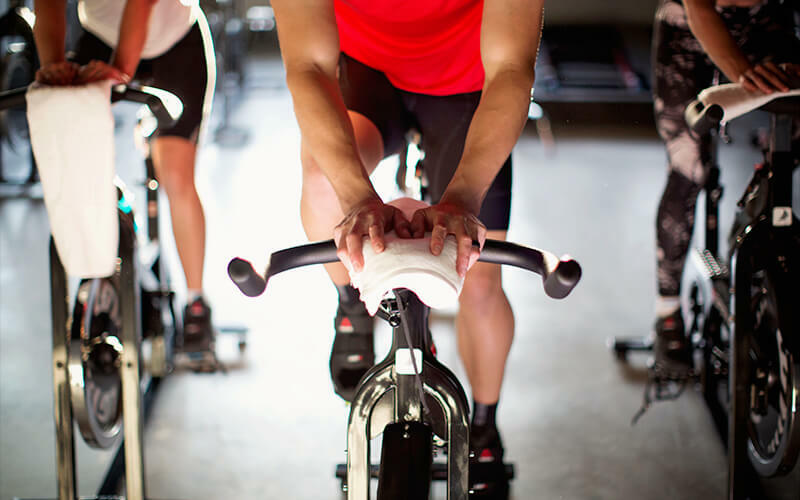 Interested in trying out the indoor cycling studio in your neighborhood? Not sure how to get started? Let us help. There’s something about indoor cycling that can seem intimidating at first. Maybe it’s the loud music, the fear-factor of adjusting that weird-looking bike to fit, or the idea of joining random strangers for a group sweat session. But, don't sweat it (not figuratively, at least). We're all in it together. We're all there to get better, to push ourselves more, to dig deeper, to do our best. 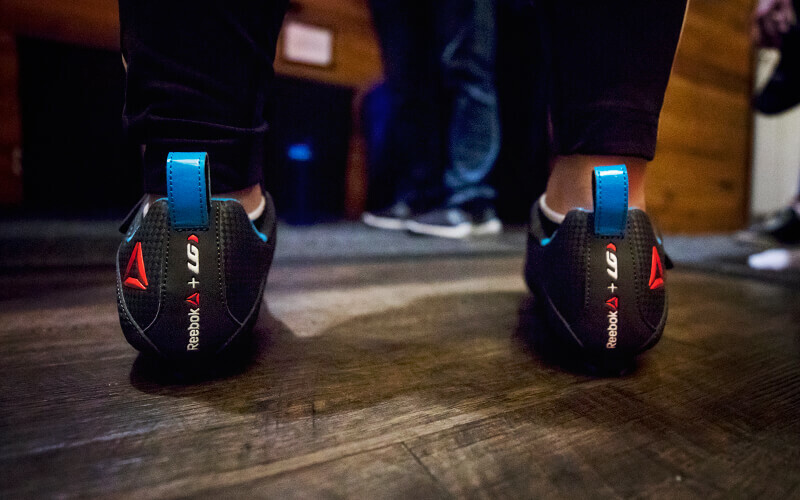 "Incorporating the latest Garneau design and technology, the Actifly shoe focuses on comfort, breathability and performance in the indoor cycling space. Featuring a moisture-wicking microfibre, perforated upper, the shoe prevents moisture build-up and maximizes heat dissipation for both individual comfort and fleet use at fitness and cycling studios." 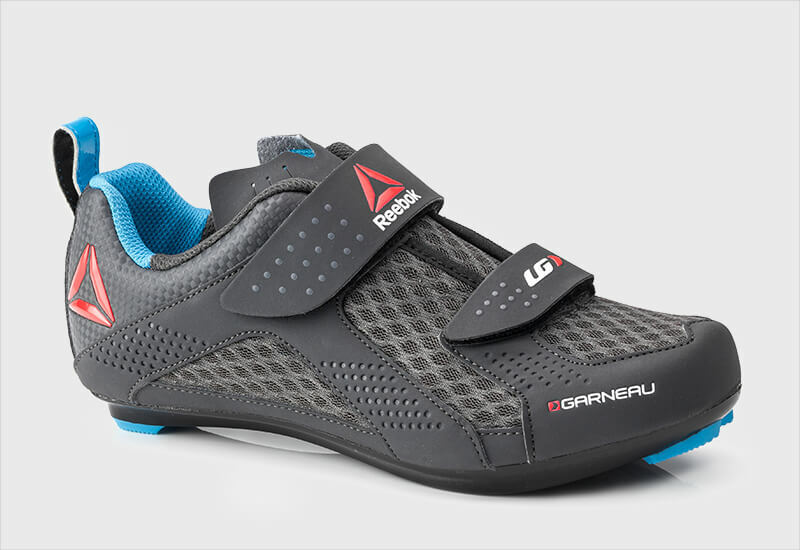 "Garneau a global leader in cycling design and products, and Reebok, worldwide sports and lifestyle company, have collaborated to launch a unique shoe designed specifically for indoor cycling. 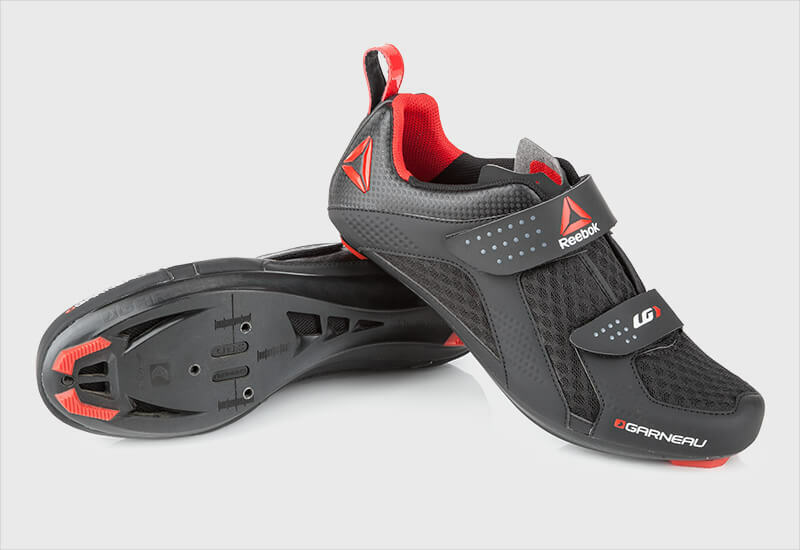 The new Actifly shoe was designed to enhance the experience of dedicated fitness and indoor cycling enthusiasts."